Learn step by step how to craft the perfect UGC campaign for your brand. Today’s world is filled to the brim with content. The ever-increasing ubiquity of the internet, and social media in particular, has led to an explosion in the amount of content available to users. This has created an online landscape where people are faced with a borderline overwhelming amount of choice. Whatever the medium may be, if one content producer stops delivering the goods on a regular basis, hordes more are always ready to step up to the plate and steal their audience. This abundance of choice presents content creators everywhere with a sizeable challenge. It doesn’t matter if you’re running a YouTube channel, an Instagram page or a blog, if you fail to release high-quality material on a regular basis then even your most loyal fans will eventually turn their attention to something new and forget that you ever existed. This is unfortunate because the truth is that creating content on an editorial schedule is tough. Especially when content is just a small part of your business. Fortunately, there are ways to deal with this. One of the best of which is by leveraging the power of user-generated content (or UGC). If you are able to effectively collaborate with consumers to generate UGC then you will give yourself access to a veritable goldmine of high-quality material without having to devote too much of your limited time and resources to content creation. This is a strategy that has worked wonders for brands like GoPro, Lululemon, and Apple, and there’s no reason it can’t do the same for you. For many years a lot of marketers held the opinion that user-generated content was vastly inferior to professionally produced branded material. However, the last few years have seen a shift in opinion. The enormous upside of UGC has started to show itself and people are beginning to realize that it possesses numerous advantages that, in many situations, give it the edge over traditional marketing material. Let’s take a look at some of the key advantages which user-generated content has to offer. One of the most obvious upsides of user-generated content is that when you compare it to traditional marketing content, it’s essentially free. If you run a contest to generate content then you’re not only engaging your audience in a way that only a contest can, you’re also significantly beefing up your marketing material without having to devote your own time, money and resources to producing the content yourself. GoPro run an ongoing ‘Photo of the Day’ contest which gives them what is essentially a never-ending supply of high-quality content in exchange for some prizes. Users who go out and create branded content won’t simply send you a photo. They’ll upload it to social media for all of their friends to see. This is fantastic, as having users share branded content which they made themselves is an outstanding way to expose your brand to new audiences in an authentic and trustworthy manner which seamlessly blends into the social media landscape. Google’s Panda algorithm loves content and Facebook’s current algorithm prioritize content posted by friends and family over that which is posted by brands and organizations. Encouraging the creation and sharing of UGC is the perfect way to take advantage of both platforms’ algorithms and lap your competition in the SEO arms race. On average, social media campaigns which incorporate both user-generated and branded content improve engagement by 28%. Online ads featuring UGC also have a huge advantage in click-through rate over traditional marketing material, which just goes to show that when it comes to engaging your audience there’s nothing more powerful than user-generated content. Research has found that consumers typically trust UGC 50% more than other forms of media, and 93% of all consumers seek out user created content or reviews before making a purchase. This means that if you’re able to successfully integrate UGC into your marketing efforts then you will be able to spread a much more relatable and reliable brand message than you would if you relied exclusively on traditional marketing materials. The reliable, trustworthy and social nature of user-generated content make it a great tool for social marketing, which is becoming more important than ever as social media continues to play a bigger and bigger role in our lives. So as you look for ways to boost your social engagement online, keep UGC in mind, as it is arguably the most powerful tool you have at your disposal. Today’s world is moving at breakneck speed and online audiences are constantly craving something new. In this environment, user-generated content fits the bill perfectly. The content you source from users will often be rich in new ideas and fresh approaches. It will be genuine, novel, and spur of the moment. So if you really want to connect with a modern audience then the inclusion of UGC in your marketing strategy is an undeniable must. Hopefully by this point you can see the tremendous upside of user-generated content and are feeling pretty eager to start incorporating it into your marketing mix. If that’s the case then all you need to do is keep on reading, because we’ve put together a guide on how you can plan and run a contest that will provide you with exposure, engagement, and most importantly a whole lot of user-generated content. Running a successful content contest was essentially unachievable for most brands as recently as 10 years ago, but thanks to the emergence of platforms such as Facebook, Instagram and YouTube, as well the pervasiveness of high-quality smartphone cameras, companies and users can now collaborate to produce content on an unprecedented scale. The creation and exchange of UGC isn’t only simpler than it’s ever been, it’s also highly sought after. People have an inherent desire to create and share things with the world, so brands which run contests rewarding people for doing just that are able to capture a lot of attention. So if you’re looking for an accessible and engaging way to acquire huge amounts of user content en masse then running a UGC contest should be on the top of your to-do list. 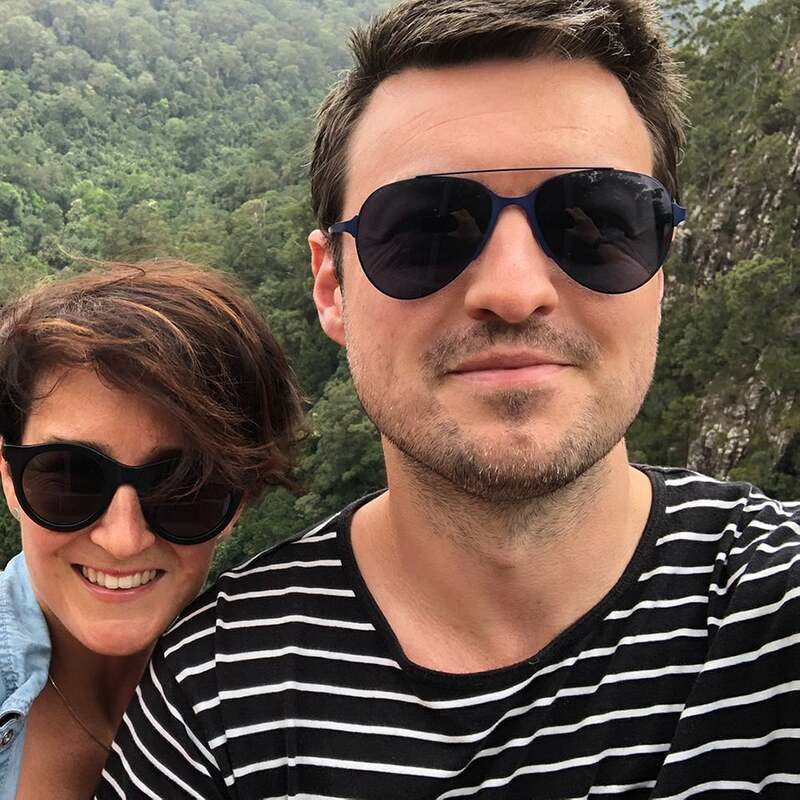 By running a UGC contest Trivago was able to get their hands on huge amounts of engaging content, and it only cost them the price of the $500 prize. This is astronomically cheaper than what they would pay to produce even a fraction of the content they recieved themselves. Running any sort of contest can be quite a complicated process, and to help you on your way we’ve put together some in-depth guides which will help you run your own contest. Having said that, creating a contest which is optimized for collecting user-generated content is quite different from creating one for lead generation, customer advocacy, or instant sales. UGC contests come with unique challenges and opportunities, so we’ve put together this guide that will teach you how to run a contest which is specifically designed to generate and showcase fan-made material. Want To Run Your Own UGC Contest? 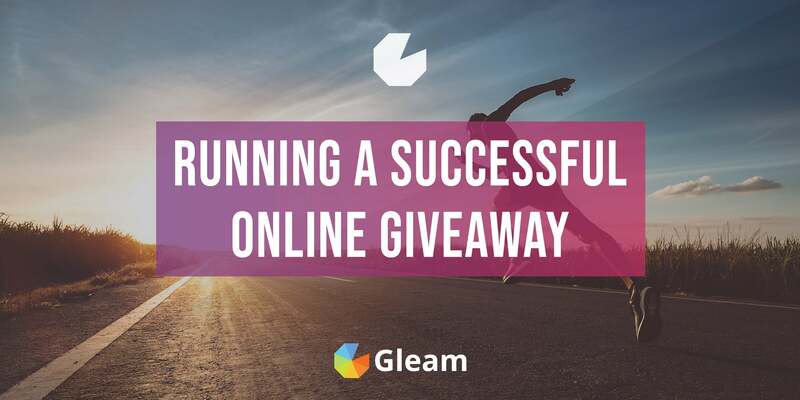 For more help running the best contest you can, check out Gleam’s Competitions platform. It makes setting up and running a beautiful and effective contest or giveaway a breeze. If you’re running a contest with the goal of collecting user-generated content then one of the most important questions you have to ask yourself is exactly what type of content it is you’re looking for? As a general rule, you should be going after images and videos. Text-based content can be easier to procure, but images and videos will be astronomically more valuable to your marketing efforts. 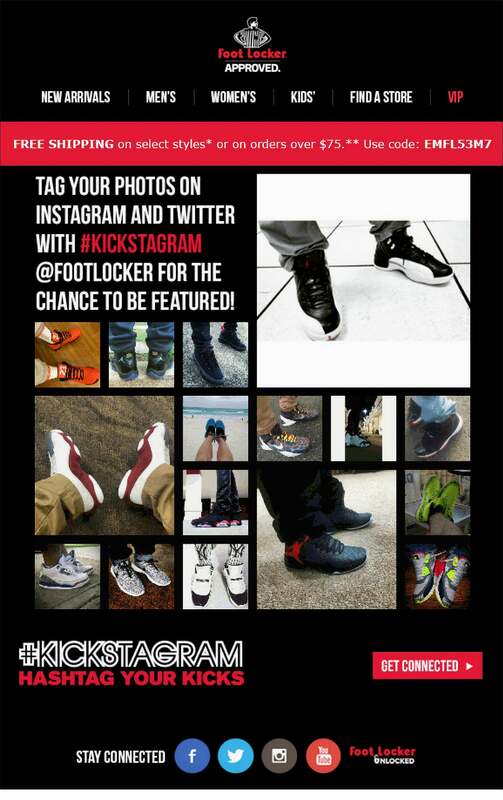 Remember, the more incentive you give users to enter your contest the better the UGC you generate will be. Once you’ve decided if you’re after images, videos or text-based content it’ll be time for you to decide exactly what you want the content you generate to be. This can be a tough decision, so to help you through it we’re going to run through a few of the most powerful types of user-generated content you can use contests to collect. There’s arguably no better way to advertise your product than by simply showing it in action. 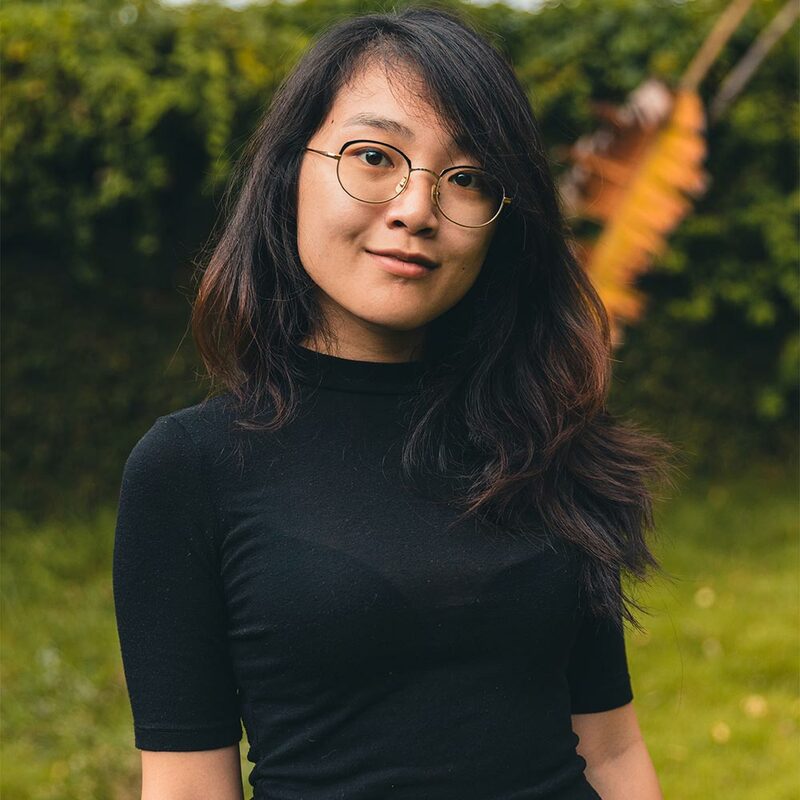 Getting users to submit photos or videos of themselves using your product is a perfect way to highlight everything great about your product in an authentic and trustworthy manner. This is a tactic which has been used to great effect by Apple, who show off the quality of iPhone cameras with their “Shot on iPhone” campaign. Many other camera manufacturers such as GoPro and Cannon have also run similar campaigns to generate and showcase photos that customers have taken with their cameras. This type of UGC is also frequently used by hordes of travel companies who use photos their customers have taken on trips to showcase what their service has to offer. Some of the most powerful types of UGC you can collect are user reviews and testimonials. Studies have found that as many as 84% of people trust online reviews as much as they trust recommendations from their friends. So if you are able to incentivise visually engaging reviews and user testimonials then you will put yourself in a position to collect marketing material that will help you win the trust of your audience, highlight the value of your product and ultimately drive sales. 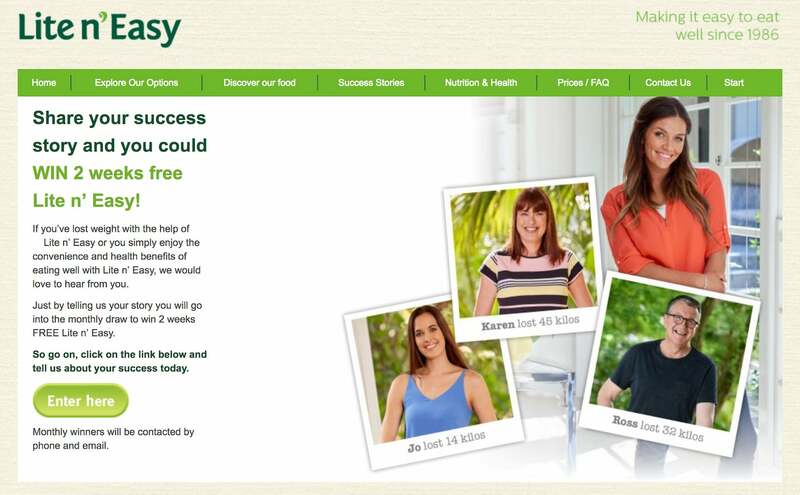 Lite ‘n’ Easy, an Australian weight loss and healthy eating company, have had great success using competitions to source this type of content. By giving away two free weeks of their service every month Lite ‘n’ Easy have been able to collect a continuous stream of high-quality customer testimonials which have become a cornerstone of their online marketing strategy. No matter what industry you’re in, customer testimonials are always a powerful marketing tool, and by running a competition you can collect piles of them with ease. Another type of content you can source from your audience is user feedback. If you can get users to submit photos or videos highlighting their favourite product of yours then you can both obtain engaging marketing material and get a pretty good indication of what your users value most about your brand. 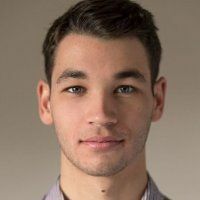 Understanding what users like most about your products is a great way to improve your offering and keep giving your users exactly what they want, so don’t underestimate the power of this type of content. Check out this NatureBox campaign to see what we mean. By asking customers for images of their favourite NatureBox snack they were able to generate and spread a lot of engaging marketing material while also gaining insight into what type of snacks their market seemed to value most. The insights gained from camapigns like this could help NatureBox determine the types of snacks they should be focusing on, and which ones may need improving. Another fantastic type of UGC you can ask for isn’t feedback on your existing products, but ideas for entirely new products. A contest asking for this type of content is a great way to let your followers flex their creative muscles and engage with your brand in a fun way which will help strengthen your user relationships, encourage social sharing of your brand, and maybe even produce some innovative ideas. Oreo used this tactic to great effect with their hugely popular My Orea Creation campaign which encouraged users to submit their own idea for an Oreo flavour for the chance to not only see their dream flavour come to life, but also win an astonishing $500,000. You can run this type of contest yourself without having to offer such an extravagant prize. People like sharing their ideas, so any incentive you can offer will often be enough to drive a contest which will engage your fans and possibly even inspire your next big offering. As the last point illustrated, contests which give users the opportunity to show some creative flair can generate huge amounts of engagement. A great idea for a contest can be one which asks users to engage with your product in an original and creative way. This is a terrific way to produce an abundance of high-quality marketing material, spread your brand message and engage your audience. Perhaps the best example of this type of competition comes from Starbucks, whose Red Cup Contest asked users to decorate their Starbucks cups and post them online for their chance to win cash prizes. In addition to coming up with a highly engaging idea for a contest, Starbucks also excelled at letting their audience know exactly what type of content they were after. In the post above Starbucks made it plainly clear that “adventure” was their contests’ theme, and as a result they were inundated with highly relevant (and high-quality) user content. There are a lot of different types of powerful UGC you can generate using a contest. You just need to figure out what type will work best for you and your marketing strategy, and remember to make the type of content you want abundantly clear to your audience. You don’t want to launch a competition only to be flooded with irrelevant content. The parameters you set for your contest play a huge rule in determining the quality and quantity of content you end up with, so it’s important that you carefully consider all of your options before launching a contest. To help you navigate the key choices you’ll need to make we’re going to take you through the rules, terms, and format options you should consider to maximize the success of your campaign. Once you’ve decided on the exact type of content you want to collect you need to decide how you’re going to collect it. Gleam’s Competitions app comes equiped with an array of different actions designed to help you collect user-generated content. 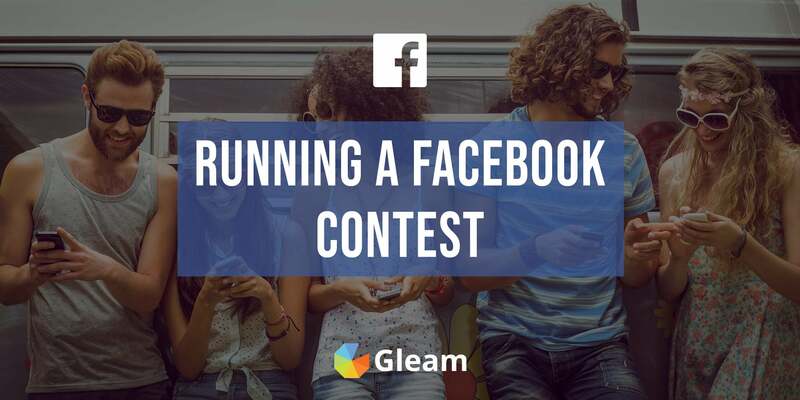 With Gleam you can allow users to enter your contest by uploading photos from Facebook, Twitter, Instagram, or even from an offline file. You can even restrict entries to photos that include a particular hashtag or hashtags so you can make sure that the submissions you receive are relevant to your contest and your marketing plans. 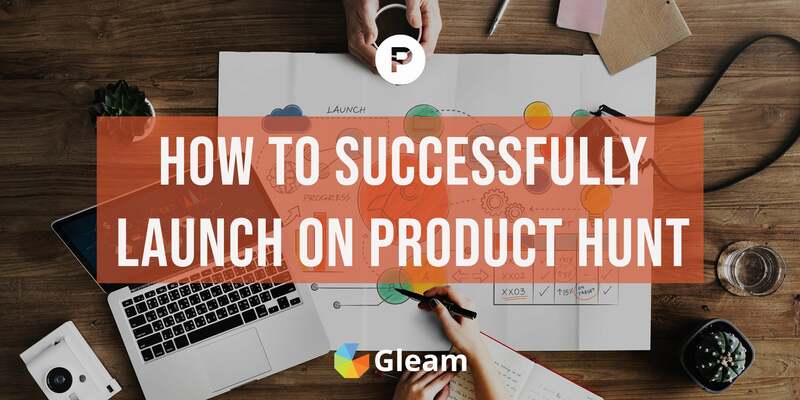 Have a play around with our demo competition below to get a feel for some of the ways you can use Gleam to source high-quality user content as part of a contest or giveaway. To make it easier for you to see the platform’s potential we haven’t placed a hashtag restriction on any submissions, but we recommend that you do in order to maximize the relevance of the content you receive. If you want to make it even easier for your users to submit UGC as a contest submission then you’ll want to check out Gleam’s Import Actions. 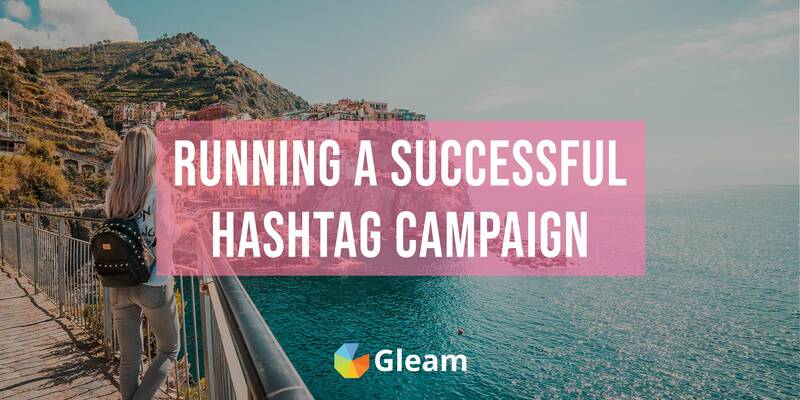 With Gleam you can import hashtagged images as contest entries without users ever having to interact with the competition widget. All you need to do is set up a competition specific hashtag and let your users know that they can enter your contest or giveaway simply by uploading a photo or video with your hashtag. 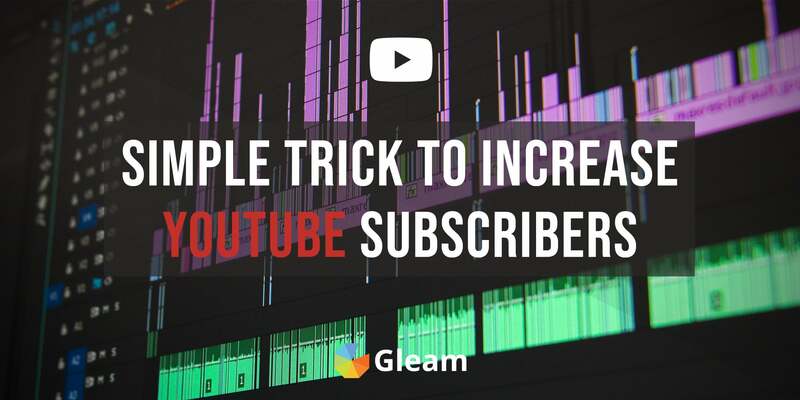 Gleam’s import actions support a variety of sources including Facebook, Instagram, Twitter, Tumblr and YouTube. This allows you to source high-quality content from users all across the internet and create a highly accessible and highly effective UGC contest. The scheduling of a contest can play a major role in determining how successful it will be. You should try to keep them going for at least 2 months. You need to allow plenty of time for the contest to gain traction and for users to create the best content they can. It’s also a good idea to avoid overlapping with extended national holidays, like Christmas and Easter, in the days leading up to the submission deadline. You don’t want anything taking the focus away from the climax of your campaign. Your contest’s prize is what will incentivize users to create content and enter your contest, so it’s important that you get it right. The best content will come from people who have genuine affection for your brand. Try offering a prize that will appeal primarily to these brand advocates. A bundle of your own products is far more likely to attract the types of users who produce high-value content than a generic gift like an Amazon gift card. Your prize needs to justify the effort required to produce the content you want. The more you expect your users to do the more valuable your prize needs to be. You can’t expect people to jump at the chance to produce high-value content if all they stand to win is a $20 gift card. Sticking to a theme is a good way to add a level of engagement to your contest. If you’re trying to generate content that fits a particular theme then it’s smart to offer a prize which also fits within the theme. For example, if you want to procure Christmas themed content then try offering a Christmas themed prize. It will add cohesion to your contest and do wonders for your engagement. Do you want your contest to have viral potential? Try giving users an incentive to share your contest with extra entries or additional prizes. The Gleam platform allows you to let people get extra contest entries by sharing the contest with friends. This has proven to be a great way to increase contest participation. 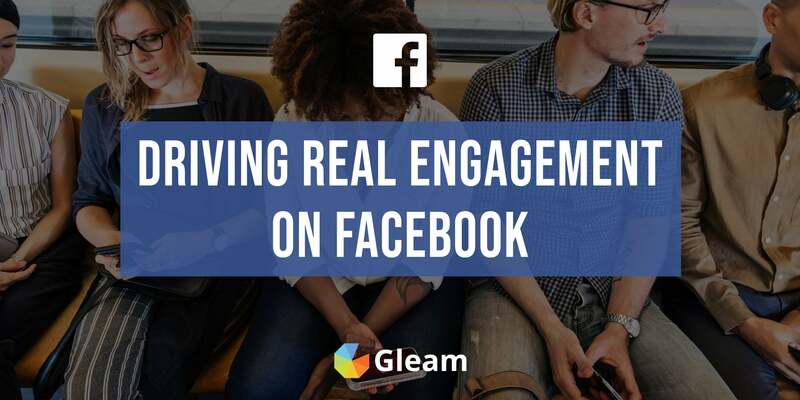 You can get people to spread your contest around by sharing it across numerous platforms such as Email, Facebook, Twitter and many more with Gleam’s built in Viral Sharing action. Do enough and you just might see your contest go viral! Now that you’ve done most of the hard work, it’s time to move on to the fun part: launching and promoting your contest! Regardless of how well put together a contest is, no one will enter a contest that they do not know exists. Promotion is vital to the success of your campaign, so you need to make sure you get it right. If you want your contest to gain some serious traction try encouraging users to share contest links via social media and e-mail with smart incentives like additional contest entries. Facebook and Twitter work best for informal contests, LinkedIn is excellent for B2B activity, and e-mail is a great catchall. While it’s great to get others to share your contest for you, you need to remember to share the campaign around your own social media channels as well, as this is the best way to reach your own fans and kickstart the spread of your campaign. A contest announcement like this one from Wet Shave Club is a great way to kickstart a contest as it both promotes the contest to their own following and encourages social sharing by asking users to tag friends and leave comments on the post. Your existing followers are more likely than anyone to want in on any new contest, so always email your list and let them know about any contests you run. In addition to letting your email list know, remember to make sure your followers on every platform are made aware of the contest. This means making announcements on Facebook, Twitter, Instagram, and any other social media outlets you use. Do you have a blog? A newsletter? A weekly video series? If you do make sure you’re using these platforms to promote your contest. Highlighting your contest for it’s entire duration will greatly increase the amount of entries you get. This is a tactic that Birchbox has used on their blog to great effect. A great way to gain exposure from a new audience is by promoting your contest through third-party content. If you know of a content producer with an audience that your brand and contest are likely to appeal to you can try to get them to promote your contest in exchange for money, some of your product, or even just some fresh content for them to use. This is a highly effective way to use content marketing to reach an audience who wouldn’t usually engage with your brand. Just take a look at how BooHoo had their contest (and many of their products) exposed to 2.5 million relevant audience members by reaching out to influential YouTuber Zoella and providing her with some free clothing. This is the bread and butter of driving targeted traffic. Paid ads are an effective way to get folks involved in your contest, so if you have the budget for it, consider using Facebook Ads or Google Adwords to help you get your message out there. Using forums and directories are a great way to target specific groups of people with a sniper’s precision. So if you’re a small brand looking to gain traction then becoming active in forums relevent to your market can be a great way to find people who are likely to be interested in your contest (and brand). 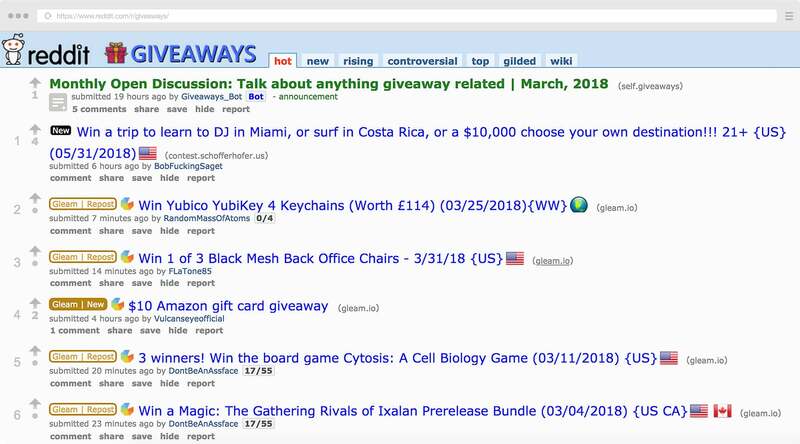 There are even subreddits devoted to sharing online giveaways and contests, and plugging your giveaway on these can be another great way to find contest entrants. However, you need to be careful with this as you will run the risk of exposing yourself to people looking to enter contests without having any interest in your brand. Want to Use a Contest Promotion Website? We've put together a comprehensive list of all the best contest directories you can use to promote your sweepstakes. When in doubt, take a look at what your competition is doing. This can be a great way to figure out what types of messages your audience respond well to. While this is almost never a bad idea, you will want to do things your own way once you figure out what does and doesn’t work for you. Every brand is different, and while it can give you a good indication, what works for someone else won’t always work for you. Whichever promotional tactics you ultimately decide to use, make sure you keep promoting for the entirety of your contest. Don’t just stop halfway through. Staying committed for the duration of the campaign is the only way to maximize your results and get every last bit of UGC that you can. Once the contest is over you will need to pick a winner using a transparent and predetermined process. When running a UGC contest the best ways to determine a winner are by staff choice, popular vote, or random selection. 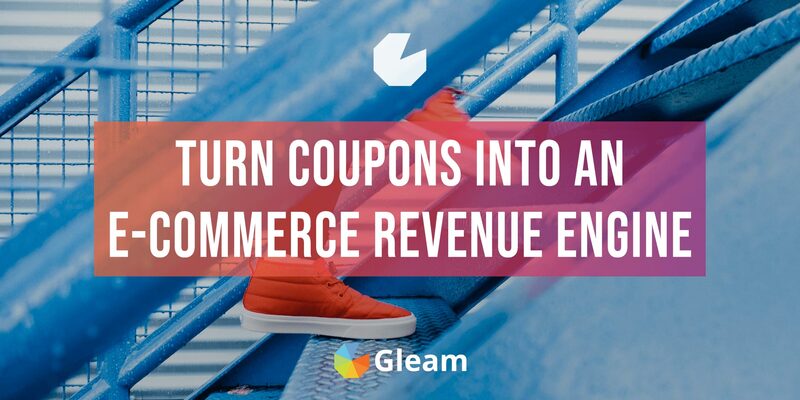 When you run a contest with Gleam, you can easily draw manual or random winners without any hassle. If you opt to use a popular vote to select winners you will need to set up a gallery to showcase all the content you’ve generated and allow users to vote on their favorite submissions. But we’ll talk more about this soon. Once your winner has been chosen you’ll need to publically announce them and promote their victory. A simple and effective way to do this is with a social media post. …or even get them to film themselves receiving and demonstrating their prize (this is particularly effective if you’re giving away your own product). Announcing your contest winner is another great opportunity to utilize even more UGC, so don’t let it go to waste. Also, make sure you don’t forget all your other contestants. They’re valuable leads that you should be trying to convert into customers, so remember to reward them for their efforts with timely updates and engaging content. In the aftermath of your contest you’re likely to find yourself inundated with a wide array of high-quality user-generated content. But what should you do with it all? It’s vital that you don’t let all your newly acquired content go to waste, so you want to integrate the UGC into your marketing activity as soon as you can. User-generated content is highly social by nature, so it only makes sense to use the content your contest generates as a part of your social marketing. Sharing the content you collect on social media platforms such as Facebook, Twitter and Instagram are outstanding ways to capitalize on the engaging and relatable content you’ve gotten your hands on. By regularly incorporating your UGC into your social media activity you’ll be able to give your brand a sense of authenticity and connect with your audience on a very human level. If the user-content you share is engaging enough users will keep coming back for more, allowing you to give your social media following a significant boost, spread your brand message to a much wider audience and ultimately convert more users into customers. Email marketing is one of the most effective promotional tools you have. When it comes to converting leads and keeping customers up to date with your offerings it’s hard to beat email, but that doesn’t mean it isn’t without its challenges. 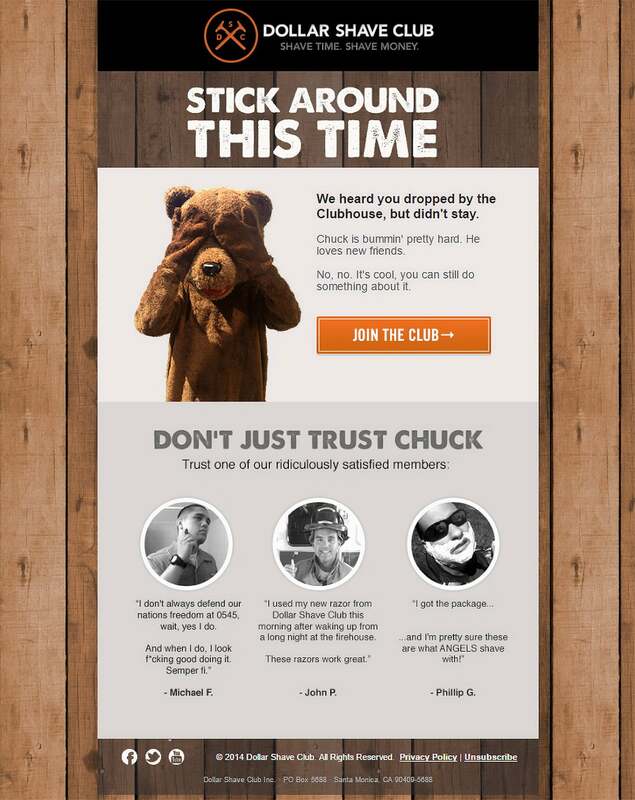 If improperly executed, promotional emails can often come across as unengaging and impersonal. One great way to avoid this is by incorporating the high-quality UGC your contest generates into your email marketing strategy. User-generated content will make your emails more personal and relatable. It will add a layer of authenticity and credibility to your email marketing while providing your mailing list with a stronger sense of community. 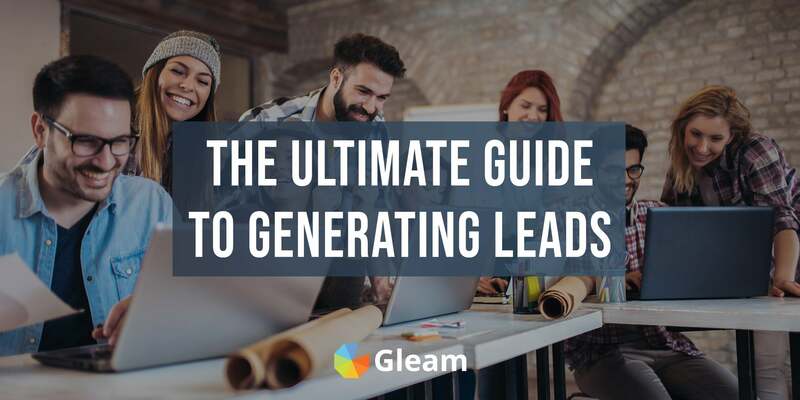 This will all help you forge stronger relationships with your audience and significantly boost the likelihood of converting your mailing list into customers. Reviews and testimonials are the best kind of UGC to incorporate into your email marketing, as they are simply reliable endorsements that can often give users the last push they need towards a sale. 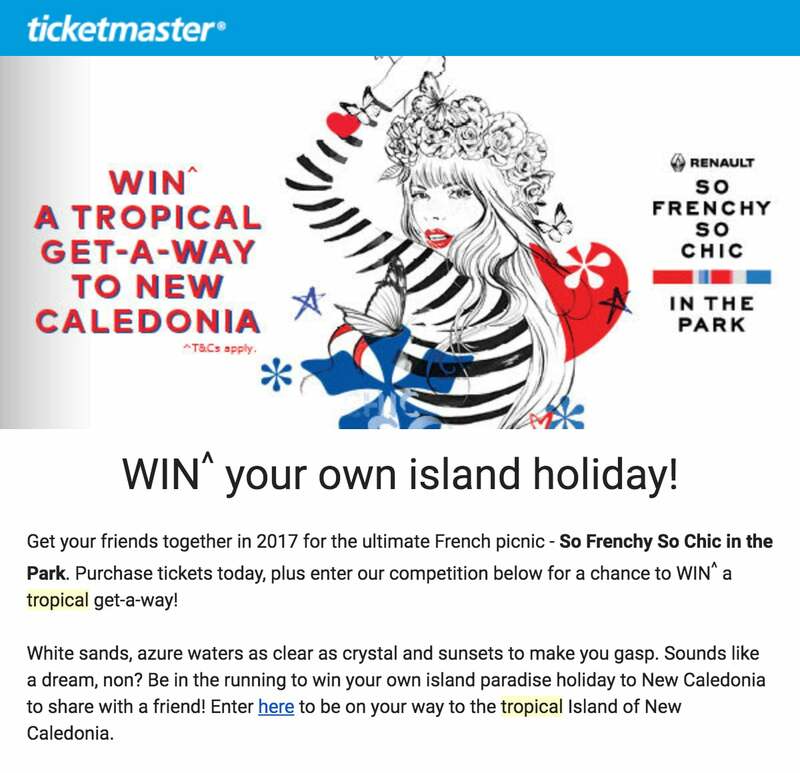 If you want to make UGC a key component of your email strategy you don’t have to rely exclusively on competitions to collect content. You should be able to generate a fairly consistent influx of user content just by asking. In many cases, the prospect of being featured in your newsletter will give people all the motivation they need to submit their own content, so you might as well ask for it. In addition to sharing the UGC you’ve acquired across your social media channels, it’s also a good idea to show off all your contest submissions in one place using a photo gallery. Gleam’s Galleries app allows you to build a stylish photo gallery which is linked directly to your competition, so all the images which are submitted into your contest automatically appear in the gallery. Once you’ve created your Gallery you can use it to liven up your website or add an extra layer of engagement to your social media presence by embedding the gallery into your Facebook page. In addition to simply displaying your photos, there are numerous other ways you can use a Gleam Gallery to engage your audience. If you want to set up a gallery to showcase contest submissions, you don’t have to wait until your contest is over. You can set up a Gallery right from the onset of your competition and use it to display incoming submissions in real time. You can even allow users to enter the contest from inside the gallery and add an extra element of interactivity to your campaign. Another fantastic way you can use a photo gallery to engage your audience is by allowing users to vote on photos in your gallery. This is not only a great way to interact and engage with your audience but it also allows you to feature popular submissions more prominently, as you can order your gallery based on popularity. This will make your gallery more engaging and it can even help you hand select some exceptional images to include in your social media marketing. As we mentioned earlier, you can also use Voting Galleries to help you select contest winners. All you need to do is enable voting within your Competition Gallery and then manually choose a winner based on which submission receives the highest amount of votes. Photo galleries filled with user-generated content can be incredibly engaging. So much so that if you only have them in operation for specific competitions, you’re missing out on the full potential Galleries has to offer. With Gleam you can create a photo gallery which pulls in images adorned with any given hashtag from numerous platforms. So if you have a branded hashtag that you’d like to put on full display then creating a Hashtag Gallery is definitely worth your while. 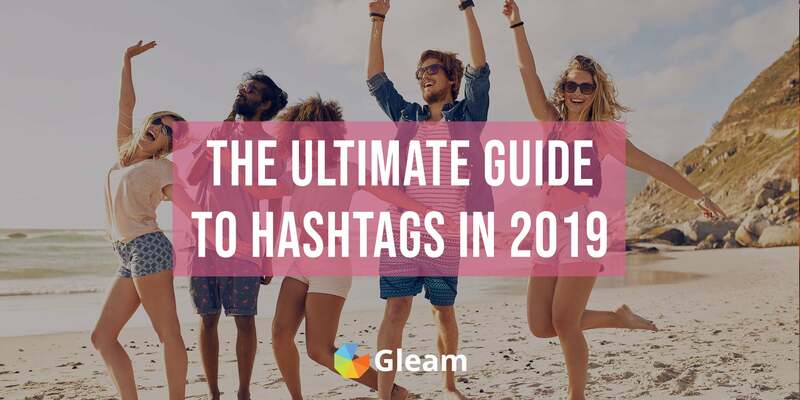 If you want to pull in huge amounts of UGC then contests are definitely the way to go, but simply encouraging the use of your branded hashtag can be enough to collect a consistent stream of fan-made material. Being featured on your community gallery will be enough reason for a lot of people to use your hashtag, all you have to do is ask. Well that just about covers it! 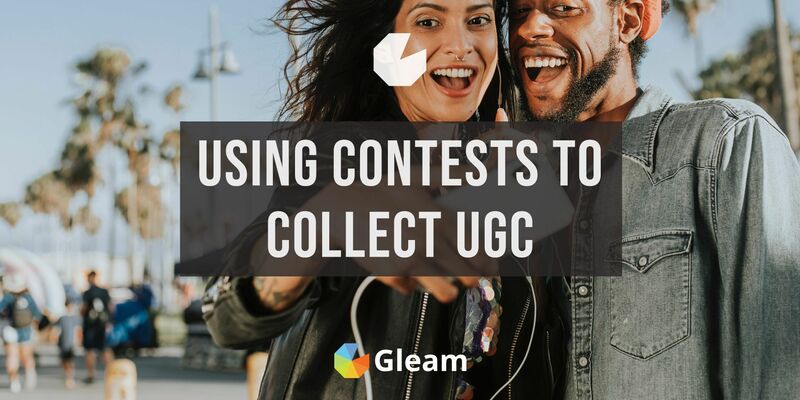 If you want some more information on how you can run a UGC contest with Gleam check out our guide to running a photo contest, or check out our other in-depth guides to learn more about how Gleam can help you grow your business. Now, are you feeling fired up about using a user-generated content contest in your next marketing campaign? You should be! Because you’ve put yourself in an excellent position to run a highly successful contest just by reading this post. All you need to do now is figure out what type of content you want to collect and get to work running your competition! Ready To Run Your Own UGC Contest?